Stock status is current as of 4/22/2019 8:54 PMET. Price: $21999 Free shipping Today! 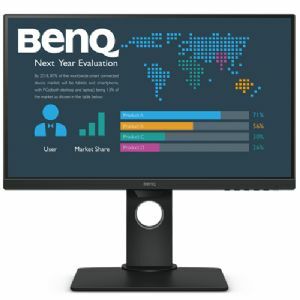 Equip your workplace with the BenQ 24" IPS Business Monitor w/ Eye Care Technology . Its IPS (In-Plane Switching) Technology provides accurate color and image reproduction from any angle. An expansive 178� viewing angle is ideal for work and for on-screen reviews with multiple people in the room. Easily customize the height, tilt, pivot, stroke and swivel of the monitor to create a perfect user environment and workspace so you can enjoy all the images in their full contexts. It boasts a stylish frameless design to make the monitor look lighter and larger. You can build an edge-to-edge setup and enjoy an expansive viewing experience. Whether is watching multimedia presentations or listening to music, the powerful integrated speakers provide an immersive experience. 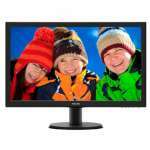 This monitor features a native resolution of 1920 x 1080 resolution, 250 cd/m2 brightness and a 1,000:1 contrast ratio. 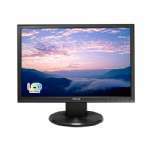 Purchase the BenQ 24" IPS Business Monitor w/ Eye Care Technology today!